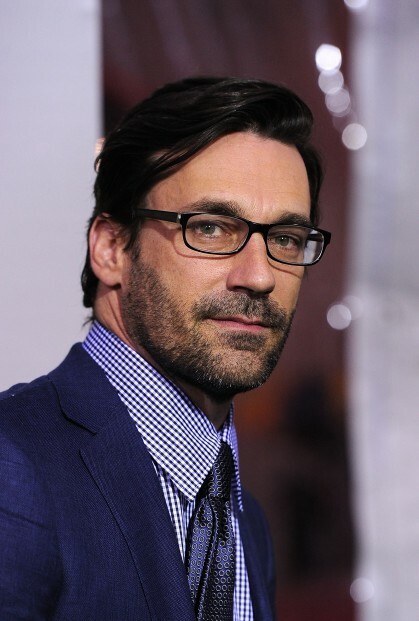 Stephen just got glasses that look like this and his beard is about this scruffy. So in short, he's one blue suit away from my dream come true. Last night my family's dog, Gidget, jumped out of the upstairs window, onto the roof, then off the roof and onto the street to chase a cat. And you have to admire that. I don't know that I've ever wanted something so much that I would be willing to jump off a roof for it. Also, I've hit a moral dilemma. I need BYU to lose. My bracket predicts that they will lose. And there are few things I want more than for my bracket to dominate all other brackets in the office. In fact, I would maybe jump off a roof if it would help. But then again, how rad would it be if BYU won? It's self v. the greater good. Sort of. Hi Meg... I hope you don't judge me if I've been secretly admiring your blog for about a week now. In my opinion, you should jump off of all the roofs you can... as long as you prepare in advance with a trampoline or inflatable castle at the bottom. I'm flattered that you read my blog. And i just watched that episode of the office.